The first Canadian entry into the BTLNHL enclave is the Ottawa Senators, giving them the unenviable distinction of being the worst NHL logo in Canada. If you are not Canadian, understand that hockey in Canada is like college football in America, or football (soccer) in England, or cricket in India. Huge. A part of the national identity. Having the worst team logo in Canada is like Tobias Fünke losing his hard-boiled eggs. Or Captain Kirk being left on a dying planet by Khan. Or Bill O’Reilly not knowing what “play us out” means (potty mouth alert!). A mixture of extreme rage and despair. Okay, so maybe not all Canadian hockey fans are as enthusiastic about design as I am, and I’m guessing I won’t be getting death threats from Senators fans. Remember my rant about animals in logos? Well, I didn’t count the most intelligent animals of all – dolphins. I mean, 2nd most intelligent – humans. How many humans are featured in logos in the NHL? Two out of 30. Ottawa and Chicago. In the AHL? Three out of 30 (incidentally, one of those teams are also called the Senators). The ECHL? Five out of 20. So, if we combine animals and humans into one category, the ECHL has a whopping 16 out of 20. Of the remaining 4, two of them are caricatures of humans (so 90% altogether). The AHL has 18 out of 30, with another 3 that are caricatures (70%). The NHL? 10 out of 30, with no additional caricatures (33%). So, with the Ottawa logo, it’s a borderline minor league logo. As a caveat, I should add that I have absolutely no problem at all with minor league logos in general, and some of them are excellently designed and a lot of fun, but as mentioned in previous posts, the NHL is the highest level of hockey in the world, and as the best professionals in the world, the design should follow that lead. It’s odd too, that they feature an ancient Romanesque warrior on their logo, and not their namesake, an actual Roman senator. But we can all be happy they didn’t feature a typical Canadian senator. 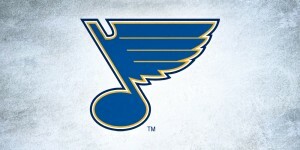 That’s a nice segue to positive things about this logo. First off, for having something as complicated as a human face on its logo, it does a good job of trying to keep it simple, keeping it away from being something super-cartoonish. The thickness of the black lines are just right to bring out an element of strength and solidity to the logo without quite overtake everything. A delicate balance. The styling has just enough detail to keep it interesting and multi-dimensional, although it does become a bit much in parts. Don’t really need the shadow on the guy’s face, or the mimicking of the flourishes on the circular element on the head armour. Speaking of which, is the circular element needed at all? I doubt it. Also not crazy about the burnt yellow/light brownish colour, especially how dominant it is in the design. Something more golden (similar to the Penguins) would work a lot better. Okay, I somehow got sidetracked back to the negative stuff. The strength of this logo is in the refinement and strength of the form. There’s not a lot of movement happening, but he doesn’t look stiff either, being much less flat their original logo. It’s a difficult balance to achieve, but they did a good job with it. There’s just some things in the execution that don’t work. So, Ottawa comes in as the 21st Best Team Logo in the NHL. Let the death threats begin! I agree that’s probably why, but I just don’t think it’s necessary. I’ve always preferred their original logo. I haven’t cared for the centurion’s head popping out at me. 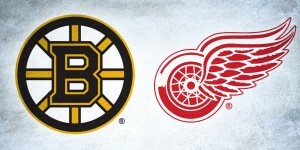 I thought the original logo fit better with other NHL logos as a flat and scalable design. If flat is a bad thing, then I guess the original logo is out. But that is my preference. Flat is not necessarily a bad thing at all, but if you’re going to have a person’s face in there, it’s tough to give it any sort of dimension or character. Never pictured the logo without the circle element but now that I see it I don’t like that it’s there anymore. I do feel the Sens and Sharks have two of the stronger logos in the league though, and Heritage aside how have the Flames and their allegiance to boredom not come up yet!? 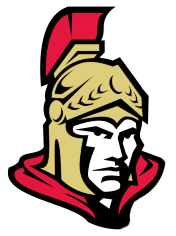 Just fyi – the logic behind using the centurion in the logo was the fact that Roman generals were also members of the senate. 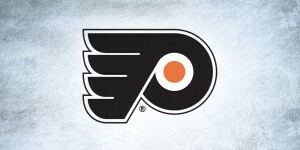 So the logo is of a senator, they just went with the option that had a bit more of an intimidation factor. The circular element? You mean the giant “O” for Ottawa? Yeah, it needs to be there. I don’t think that was intentional, as it’s more of a shield element than a big O, especially since 2/3 of the O is cut off. Vote for the original logo. Never liked the new one as I thought it was too small town or minor league. The original one was always clean, simple but represents the highs and lows of the team back in the 90’s/early 00’s as they were starting out. Disclaimer for this comment: I am a rabid Toledo and Fort Wayne fan, who loves the ECHL with all her heart. I love minor Leauge logos, jerseys and odd design elements. But I will admit that some of them are quite odd. The senators and the Hawks decipt a more realistic human than, say, Cinciy (Yay, a chance to bash the Clones!). The Sens’ logo is a bit classier than my Walleye logo, and you wouldn’t mistake the Walleye for a NHL team. If you add a animal to a design, it’s not minor leaugeish until the design goes all cartoony hockey stick.